Welcome to the premier source for children's attractions and family days out throughout England, Scotland, Wales, Northeirn Ireland & Eire. We are the definitive children's attractions website in the UK with hundred of thousands of places to go and ideas for the kids to keep them from getting bored! Looking for days out with the kids in the UK and Eire or simply looking for children's clubs, leisure hire, family pubs or outdoor pursuits to amuse the whipper snappers for those long school holidays? Need children's entertainers or bouncy castle hire to make your children's party a day for them and you to remember? We provide detailed listings for historical attractions such as educational venues, museums, Art Galleries and castles, theatres whether you're going on holiday or a weekend vacation. Find other children's attractions such as your nearest children's farms, zoo or aquariums and plan your day out, it advisable to ring the venue to make sure they are open to the public that day or for any other info. From children's farms, indoor play areas, outdoor play areas, parks, sports facilities and fabulous theme parks, you'll find you're on the most comprehensive guide to children's attractions and services on the web. We hope you enjoy your browsing experience on our site and find many ideas for you, the kids, and the family for days out and fun. For fun filled days out our website covers nearly all children's activities in their leisure time during vacations and school holidays you are bound to find something for them here. Great days out and lots of things to keep the kids energy at bay, take them to that theme park, indoor play house, petting farm and wonderful mazes and country gardens. For things to do in all the towns, cities and counties, find them all here, for incredible stuff to do in London. Children's Leisure are proud to announce that we are adding seaside attractions throughout the UK. We aim to provide the most comprehensive guide to seaside attractions available in the UK. We aim to list as many activities and leisure places on our website but can only do this if you help us identify attractions that we may have missed. Children's attractions are defined as farms, indoor play areas, outdoor play areas, zoos, aquariums, sports, castles, educational, clubs, theme parks, leisure hire, bouncy castle hire, entertainers, seaside and family pubs. Help put as many attractions on by clicking on 'put it on the map' to place your children's attractions on our map for the benefit of all site users looking for days out during leisure time. 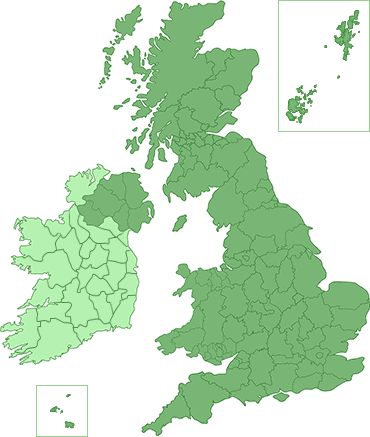 Western Isles, Highland, Moray, Aberdeenshire, Argyll and Bute, Aberdeen, Perth and Kinross, Angus, Stirling, Dundee, North Ayrshire, Inverclyde, West Dunbartonshire, East Dunbartonshire, North Lanarkshire, Falkirk, Clackmannanshire, Fife, Renfrewshire, Glasgow, West Lothian, Edinburgh, Midlothian, East Lothian, East-Renfrewshire, South Ayrshire, East Ayrshire, South Lanarkshire, Scottish Borders, Dumfries and Galloway, Northumberland, Fermanagh, Tyrone, Londonderry, Antrim, Armagh, Down, Isle of Man, Cumbria, Durham, Tyne and Wear, Lancashire, North Yorkshire, Anglesey, Gwynedd, Conwy, Denbighshire, Flintshire, Merseyside, Greater Manchester, West Yorkshire, East Yorkshire, Cheshire, Derbyshire, South Yorkshire, Lincolnshire, Nottinghamshire, Ceredigion, Wrexham, Shropshire, Staffordshire, Herefordshire, Worcestershire, West Midlands, Warwickshire, Leicestershire, Rutland, Pembrokeshire, Carmarthenshire, Swansea, Neath Port Talbot, Bridgend, Rhondda Cynon Taff, Merthyr Tydfil, Caerphilly, Blaenau Gwent, Torfaen, Monmouthshire, Vale of Glamorgan, Cardiff, Newport, Gloucestershire, Oxfordshire, Northamptonshire, Cambridgeshire, Norfolk, Buckinghamshire, Bedfordshire, Suffolk, Cornwall, Devon, Somerset, Bristol, Channel Islands, Dorset, Wiltshire, Berkshire, Hampshire, Isle of Wight, Hertfordshire, Greater London, Surrey, West Sussex, Essex, Kent, East Sussex, Orkney Islands, Shetland Islands, Donegal, Leitrim, Sligo, Mayo, Galway, Clare, Limerick, Kerry, Cork, Waterford, Tipperary, Wexford, Carlow, Wicklow, Laois, Offaly, Roscommon, Westmeath, Longford, Kildare, Dublin, Meath, Cavan, Louth, Monaghan, Kilkenny, Powys, Strathclyde, Lothian, Central, Tayside.